Bocas Del Toro is a series of islands in northern Panama, along the Caribbean coast. You can only get there by boat or plane, and once there, water taxi is the most common form of transportation. It’s the epitome of small, sleepy, beach town and definitely worth a visit! We recently spent two weeks there and already can’t wait to get back someday. 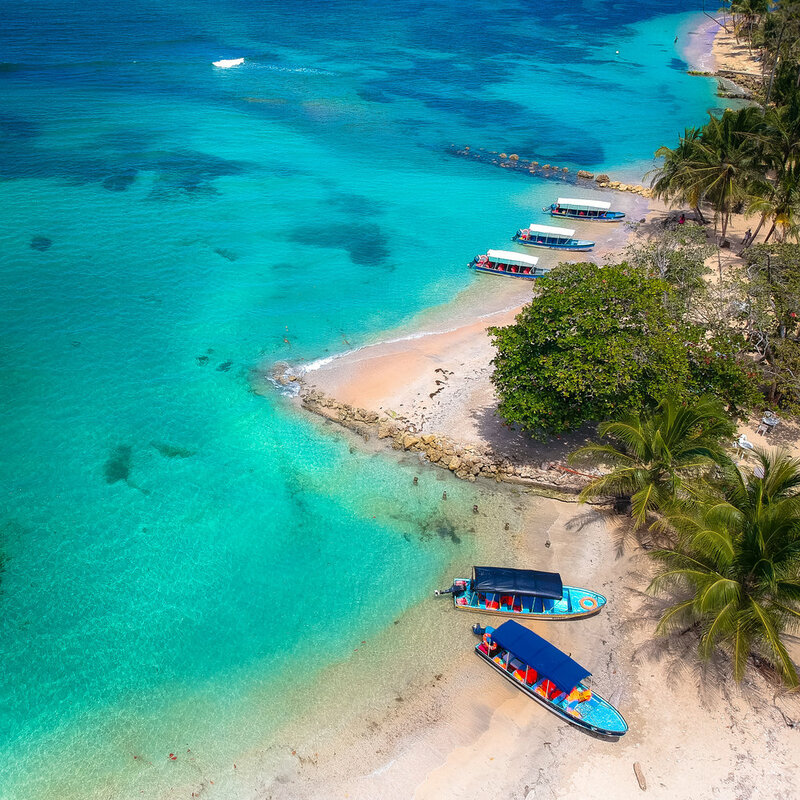 The area has been populated somewhat recently (mostly within the last 30 years), and is primarily made up of people from various areas of Panama with diverse cultural backgrounds, as well as many, many expats. There are, however some areas of the islands with populations of aboriginals. Each of the many islands has its own unique feel and definitely worth visiting as many as possible if you have time. We primarily spent our time on Isla Colon (this is the main island where you’ll find Bocas Town), Isla Bastimentos and Isla Carenero. I think we ate here about 3 times over our two week stay in Bocas. The burgers here (including the chicken and veggie) are honestly amazing and we couldn’t get enough. It can get quite busy so be prepared to wait for a table- and also be warned that you may have to share a table. We did each time we ate there but also met some great people while at it! A very small menu with only a few items including falafel. But it’s also delicious. Falafel wraps are served with a side of fries. They also have shawarma and Shakshuka on the menu. As I write this, it’s been a few weeks since we were in Bocas but we are still talking about this amazing pizza. It’s very small (just a couple of picnic tables) and off the beaten path in Big Creek (on the way to Playa Bluff). They have both red and white pizza options on a perfect, thin wood fired crust and everything we tried was supremely delicious. Even if you aren’t staying on Bastimentos you should definitely make your way over here for either breakfast or lunch, both are superb. With a bit of an Asian and Mexican flair, everything we tried on the menu was delicious (think coconut crusted french toast, huevos rancheros, pad thai, and beer fish). We heard mixed reviews about this place before we went, mainly that it used to be great but now it’s dirty and overcrowded with hardly any starfish. We did not find this to be the case. First, the easiest and cheapest way to get there is to take the bus from town. Just head to the park in the middle of town, if you can’t figure out where to pick up the bus, just wait a few minutes and guaranteed someone will come ask if you’re going to Drago (the beach before Starwish where you’ll get dropped off). It costs just a few dollars per person. You can buy a return ticket but we were warned not to do that as there are two bus companies and your ticket will only work on one, if the other bus is running when you want to leave, you could have to wait up to an hour for your bus company to arrive. They’ll drop you at Playa Drago, where you can take a water taxi to Starfish, but we highly recommend walking. It takes about 20 minutes and the views on the way are incredible! Once you arrive you’ll discover a very long stretch of beach, we found there were quieter and louder areas, so take your pick. There are also bars and restaurants all along the way. We also came across loads of starfish in the water. There are signs everywhere asking you not to touch the starfish but sadly not many people abide by this. So if you’re reading this, DON’T TOUCH THE STARFISH! There are no words for how frustrating it is to encounter so many people who believe the starfish were put there for their own enjoyment. Please leave them alone and enjoy them from afar. This island is right across from Isla Colon and is relatively small but definitely worth going to spend a day. It only takes a minute or two to get there by water taxi. We got dropped off right across from Bocas Town and walked about 20 minutes to the other side. We spend the afternoon at Bibis, where there are lots of tables and a few lounge chairs. The water here is calm and shallow and great for cooling off from the hot sun! Definitely not for the faint of heart, however, if you’ve never ziplined before and are interested in trying it out, we’d highly encourage you to do so! It can be a bit nerve wracking at first, but once you get the hang of it- it’s so much fun, and totally safe! The guides here are well trained, helpful and knowledgeable. And you just might spot some sloths while at it! You can’t get much central than this hotel. It’s right in the middle of town, directly on the water. Rooms have a quaint, cottage-like feel and very cosy. They also have a restaurant downstairs with a great patio where you can spend the day relaxing and enjoying the view. Bocas Town can get quite loud at night, however, we found once we turned our Air Conditioner on we couldn’t hear anything and slept very soundly. We absolutely loved this place! About a 10 minute drive outside of the main town in Big Creek, Casa Abandancah is a small B&B with just a few bungalows. The owner Joel, is incredibly helpful and friendly and cooks you an amazing breakfast each morning. It’s also right across the street from a wonderful beach. If you want to splurge this is the place for you. The resort is comprised of many luxury villas (from one to three bedrooms) with their own pools. This is the perfect spot for a family vacation or if you’re traveling with friends. They have a few restaurants on site as well as a spa and beach club as well as zip lining (see- things to do). Another place we absolutely loved, here they have two gorgeous, yet rustic overwater bungalows. Each bungalow has a gorgeous king sized bed with a mosquito net (which you may not need-we hardly saw any bugs), you can sleep with the doors wide open to the ocean or close them up. You also have a private patio with steps into the water, loungers, and a hammock over the water! The restaurant is also amazing (see- where to eat). Old Bank is made up mainly of locals, so you’ll really get the opportunity to see how people in Bocas Del Toro live. There are a few stores and a few restaurants, but no atms or banks. Just outside of Bocas Town, easily in walking distance or a quick bike ride to get in- Koko resort is also a set of about six overwater bungalows. They each have two floors with a loft area, as well as a full, and well equipped kitchen, which makes it a great spot of you’re staying awhile. Here you’ll find yourself immersed with the locals, who we found to be very friendly. The only way to get here is by plane with Panama Airlines (from Panama City or San Jose) or by ferry from the town of Almirante. Once here you’ll get from island to island by water taxi. In Bocas town you’ll find a dock for each island, so when visiting other locations, just head to the dock and wait for the next boat. It generally won’t cost you much more than $5 per person. If you’re getting around Isla Colon, there are loads of bike rentals, and taxis are cheap and easy to find- they work in much the same way as a collectivo, if you see one, flag it down to see if they are headed in your direction and have room, rates are already set per area and person. Have you been to Bocas Del Toro? Let us know your favourite spots by commenting below!